Stonnwall is a truly magnificent, Grade I listed, Elizabethan Manor, standing proudly in its own private, beautifully landscaped gardens, all set within a local preservation area. This 400-year-old masterpiece has a magnificent dining room, ideal for banquets and a large drawing room big enough for gatherings. They also have nine bedrooms, all of which boast double four-poster beds and window seats. The whole estate encompasses two acres of gardens, which are blissfully secluded and private behind ancient stone walls. 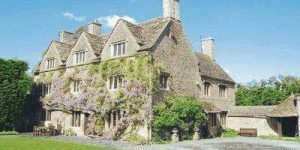 The manor house itself sleeps up to 19, while the coach house within the grounds can accommodate a further eight. Altogether, this is a unique venue that caters extraordinarily well for up to 27 guests for any occasion.